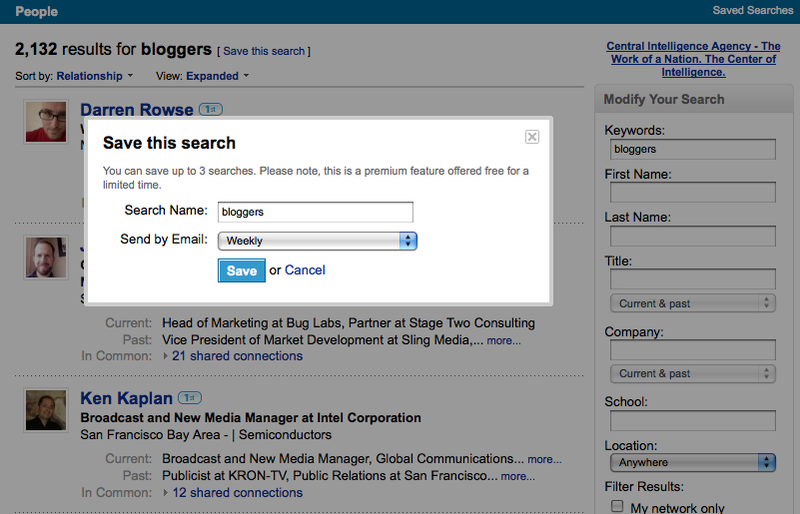 So, I’ve been using LinkedIn’s new search functionality for a few weeks and I love it. Today, my colleague, Esteban blogged about it (includes a video demo as well). But, if I were to capture two simple reasons I love the new search, it’d be (a) customization and (b) saved searches. Read on. 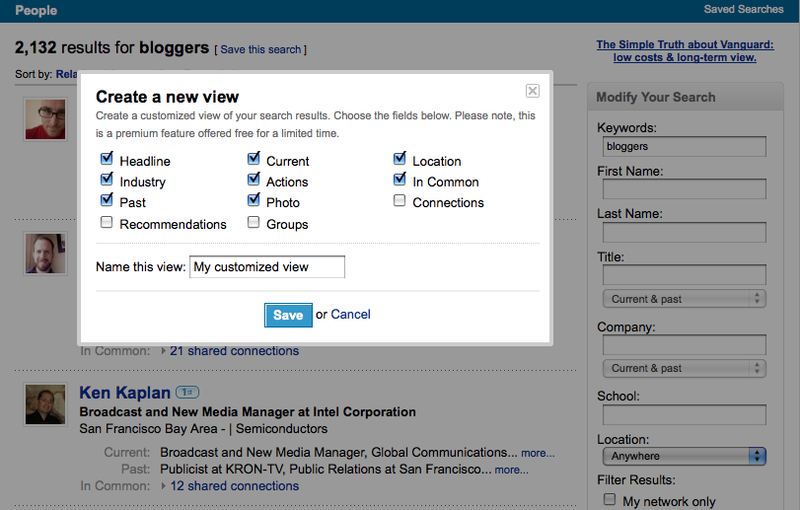 Allows you to customize your people search results by 11 fields ranging from “In Common” connections to “Groups” and “Recommendations”. Now you can save specific people searches and be notified when there are updates via email (either on a weekly or monthly basis). Love it! Want to check out the entire suite of functionality. Watch Esteban’s demo. also, you folks buried the lede on the saved searches via email. This is extremely handy when you are meeting with a new prospect for the first time. You can do research to find out about them before meeting. The reason we use video is for the human element. Shining the spotlight on the engineers and/or product managers behind the features and getting them to talk directly to the users. On the flipside, having different individuals on camera means you lose some control from a duration perspective since you’ve to go with their pace. BTW, thanks for your comments. Agreed. It makes it a breeze to find folks within your network and customization makes it easy to pull up names before an interview or meeting a prospective client. Also, in such situations, LinkedIn Mobile can be extremely helpful too. I, personally, prefer my LinkedIn iPhone app but you can access m.linkedin.com from any mobile device.